Home Article PACE financing created $3.4 billion in energy efficiency projects in U.S. Currently, the biggest barrier to people and organizations investing in energy-efficiency upgrades and renewable energy on their buildings is access to affordable financing. That’s according to Brian Scott, an Edmonton developer and Leigh Bond, an entrepreneur who has been working on geothermal and energy efficiency projects for the past decade. That’s why they are both advocating for bringing PACE financing to Alberta. “Back in 2009, in Berkeley, California, a concept was hatched called PACE, it stands for Property Assessed Clean Energy. And it’s a financing program which has taken some parts of the U.S. by storm, and it allows people to get 100 per cent financing upfront to upgrade their buildings, and repay the financing over time out of the savings. It’s a game changer,” says Scott. What kinds of things are we talking about financing? Here’s the problem PACE solves: I want to install a solar system. I know it will pay for itself, but it could take 15-18 years. My solar modules are guaranteed for 25 years, but banks are twitchy about long-term loans. Finally, what happens if I sell my house? In effect the money is paid back out of the energy savings and over relatively long terms. It’s similar to a local improvement charge for something like paving your alley. And the idea seems to work. In the U.S., “PACE financing for single family homes, has been $3.4 billion, generating about $6 billion of economic activity. In the commercial sector, it’s been $340 million,” says Scott. Not all PACE programs have been successful. It matters how the program is set up and how you execute it, explains Bond. He says a good Alberta-based program should replicate successes in the U.S.
“The first thing is to call it PACE… if you don’t call it PACE, then you’re on an uphill battle to market the concept,” says Bond. Then he recommends setting up an independent organization to run the program. A “non-profit or co-op” would be his choice. The third thing you need is access to plenty of capital. Although it can be public money, Bond says it’s more likely to be private capital. Then there are risk-adverse banks who worry PACE debt will get in front of their mortgages. But Scott says this can be managed in a couple of ways. He says the value of the property goes up by more than the investment in the PACE financing, which means their security is even better than it was to begin with. Scott says upon foreclosure PACE debt does not need to be fully paid out, it’s just the current obligations that need to be covered. 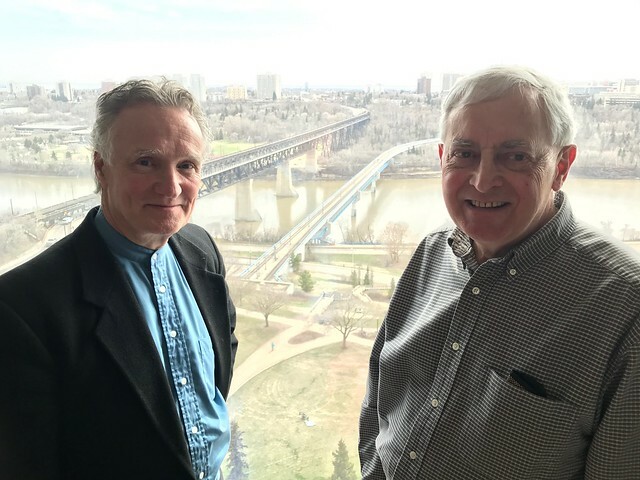 Brian Scott’s firm is Communitas and his first experience with green financing occurred 20-years ago with his Grandin Green condo co-op project in downtown Edmonton. The City of Edmonton is pursuing PACE as part of its energy transition strategy, but it seems others are interested as well.